It seems that the Fitbit smartwatch is having software as well as hardware issues, with reports that the Fitbit app store that was tipped to launch alongside its first true smartwatch is not going to be ready in time. The Verge have had these these additional problems independently confirmed and it has been suggested that instead of an app store, there will be a series of custom-made apps when the watch lands while it continues to work on the platform. Apparently Fitbit is trying to entice developers to build apps for an operating system that will take strong UI inspiration from the Fitbit Blaze. Until it convinces them to do so, though, Fitbit is set to build its own native apps for mapping, music support and will work to offer support for third party fitness apps. These issues follow on from the news that the fitness tracker giant has key hardware features holding up the launch, with sources familiar with the matter claiming the smartwatch was expected to arrive in the spring but has now been now been pushed to the fall. If true, that means it's highly likely to land around the same time as the Apple Watch Series 3. Surely it wasn't Fitbit's original plans to going head-to-head with its biggest rival. Those sources have cited GPS as one of the hardware issues holding things up right now telling Yahoo Finance, "In one of the more final prototypes, the GPS wasn't working because the antennae wasn't in the right place," adding, "they had to go back to the drawing board to redesign the product so the GPS got a strong signal." Currently the Fitbit Surge is the only device in the Fitbit family that offers built-in GPS with the likes of the Fitbit Charge 2 and the Blaze having to piggyback off your phone's GPS to track sports activities like running and cycling. The other big issue is centred around waterproofing the Fitbit smartwatch and one of these sources claims that there is a chance that it might ship without the waterproof design that would make it swim-friendly like the Fitbit Flex 2. "Regardless of whether Fitbit manages to make it waterproof, I think they have to release the watch later this year," they said. Fitbit revealed last year that production of the Flex 2 was held up by the challenge of making the design fit for the swimming pool and when used for open water swimming. Aside from the hardware problems, the same two sources also claim to have a run down on the Fitbit smartwatch specs list as well. Along with GPS and possibly a waterproof design, it'll also have a colour display with 1,000 nits of brightness, a heart rate monitor, a built-in music player including the ability to store music from streaming music service Pandora. (Goddamn you Spotify). As expected after Fitbit acquired tech startup Coin, there will be the ability to make payments from the wrist as well. In terms of battery life, the smartwatch will apparently deliver four days, surpassing what Apple manages with its own smartwatch. Fitbit acquired Pebble and startup Vector last year, two smartwatches with great battery life performance. So it's perhaps no surprise that Fitbit's first smartwatch will offer a decent performance in the battery department as well though we're not entirely sure what technology is behind this yet. All of those features will be housed in an aluminium unibody casing and will build on the more customisable designs featured on the Alta and Blaze letting users switch out the watch bands. A presentation deck that Fitbit showed to retail partners also revealed a design that closely resembled the Blaze, Fitbit's most watch-like device. The Fitbit smartwatch is expected to retail at $300, which would make it the company's most expensive wearable yet and would put it roughly in the same pricing bracket as Apple's cheapest Watch and Android Wear smartwatches like the LG Watch Sport. In other hardware news, Fitbit is also working on a pair of Bluetooth headphones to accompany its full proper smartwatch. So there you have it. 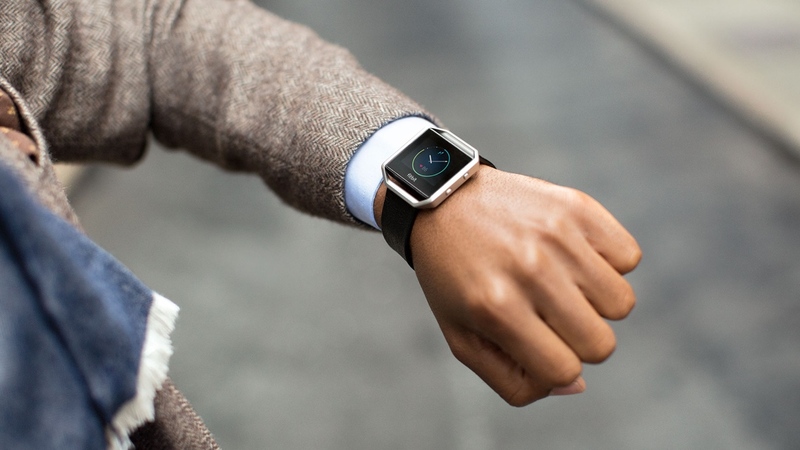 The Fitbit smartwatch is coming and we are starting to get an idea of what we can expect. How will Fitbit manage to get a watch to last four days that's super bright? Will it be waterproof like the Flex 2? What's becoming increasingly clear is that Fitbit is having a tough time building its first smartwatch. Do you like the sound of the alleged Fitbit smartwatch specs? Let us know in the comments below.